Calling all chicken wing lovers, a new flavor has stepped up to the plate! 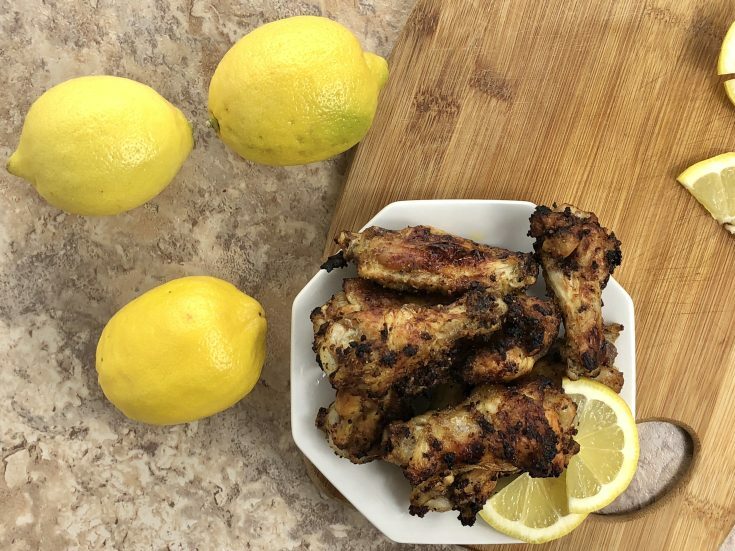 Whip up these Garlic Lemon Pepper Air Fryer Chicken Wings and prepare to be shocked at how finger licking good they are! These chicken wings will go fast, so if you are having a lot of people over you will want to make a double batch. 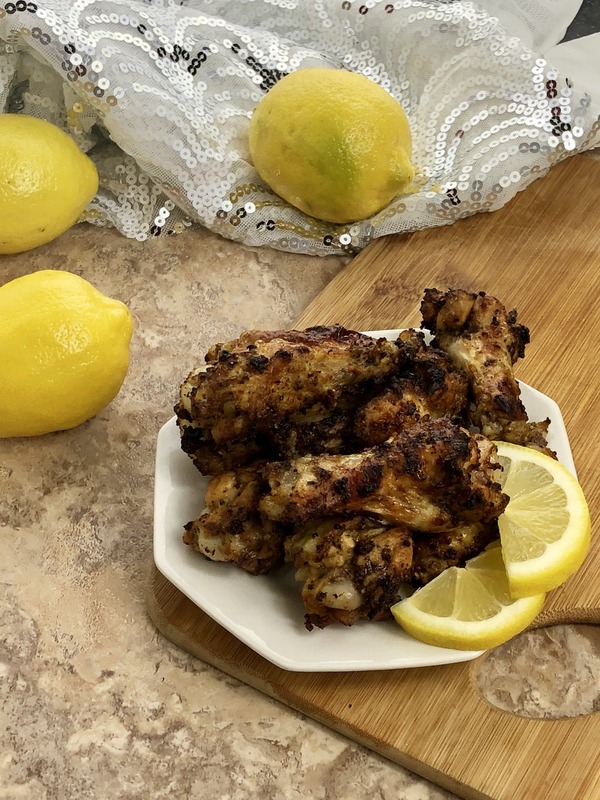 I am totally willing to throw it out there that these are pretty much the best lemon pepper chicken wings I have probably ever had! These cook up beautifully and the flavors really soak in from the marinade, so each bite is nice and juicy and bursting with flavor. By marinating for at least 30 minutes in the refrigerator really helps lock in all the great flavors, so as it cooks those flavors really pop, for that wow factor when you sink your teeth into them. I thought it might be fun to share some fun facts about chicken wings that you might not know about! From one chicken wing lover to another, enjoy! Buffalo wings became pretty popular once the Buffalo Bills appeared in the Super Bowl for four consecutive times. It is sad that buffalo wings were invented by accident. 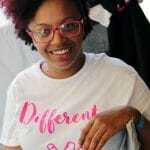 A lady in Buffalo NY got chicken wings instead of a chicken neck that she ordered, and the rest is history. July 29th is National Chicken Wing Day for all who love a good chicken wing to celebrate. Whether you like them slathered in buffalo sauce, honey barbecue, or even these lemon pepper wings. The world record of most chicken wings consumed in 26 minutes is 444 wings. Now that is one outstanding record! Most people like to believe that Franks Red Hot Sauce was the first sauce to be used on chicken wings. The average American consumes 90 chicken wings a year! Do you think you eat that many?? I’m sure I do lol. Back in 2013, there was a chicken wing shortage, but thankfully all is well and no shortage is in sight now. 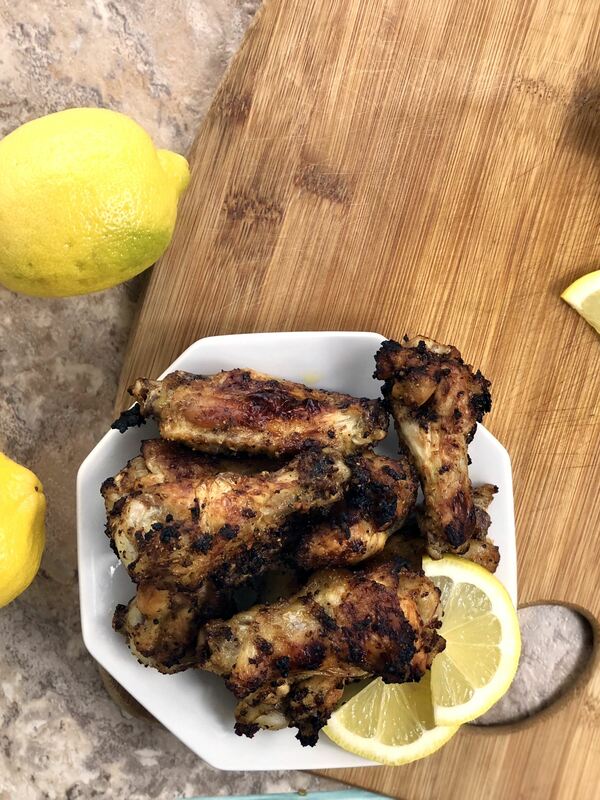 Whip up these Garlic Lemon Pepper Air Fryer Chicken Wings and prepare to be shocked at how finger licking good they are! These chicken wings will go fast, so if you are having a lot of people over you will want to make a double batch. 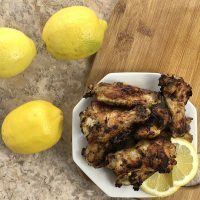 I am totally willing to throw it out there that these are pretty much the best lemon pepper chicken wings I have probably ever had! In a bowl mix lemon juice and seasonings, then add to a freezer bag. Add chicken to bag and remove air and seal.